Members of the State Board of Education voted unanimously Thursday to approve an administrative rule designed to clarify procedures surrounding teacher evaluations. The rule took the form of both a temporary and proposed rule. That means it went into effect immediately upon approval so districts can use the information in this year’s evaluations. Because it is also a proposed rule, it will be forwarded to the Legislature for consideration in 2018. Over the last three years, evaluations have become an increasingly important and controversial issue in Idaho. The Legislature partially tied a teacher’s ability to earn a raise through the career ladder salary law to a teacher’s performance on his or her annual evaluation. In 2015, Idaho EdNews began reporting on significant irregularities and inaccuracies in teacher evaluations, including multiple instances of district leaders saying they knowingly and falsely reported to the state that every single one of their teachers earned an identical overall evaluation score. In reviewing the validity of teacher evaluations, State Board of Education officials reported earlier this year that there was still “a tremendous amount of confusion” over what was expected from school districts in terms of evaluations. There are also discrepancies in how district leaders handle the evaluations once they are complete, with some administrators claiming they immediately destroy the finished evaluations, while others retain them and submit them to the state as asked. Even Charlotte Danielson, the developer and namesake of the most-widely used evaluation system in Idaho, expressed her doubts about the validity of tying teacher evaluations to raises in Idaho. Danielson worries that school administrators were put in charge of evaluations without being given the proper training. 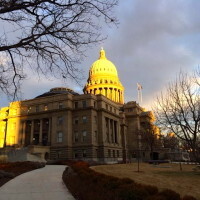 “I want to make sure the right people are getting the raise, and I’m not convinced,” Danielson told Idaho EdNews in April. State Board of Education Chief Planning and Policy Officer Tracie Bent described the rule approved Thursday as a clarification, not a policy change. There was little discussion over the rule, and nobody opposed it. A copy of the rule is available on the State Board’s website (scroll down to Tab 4. New language appears in blue).